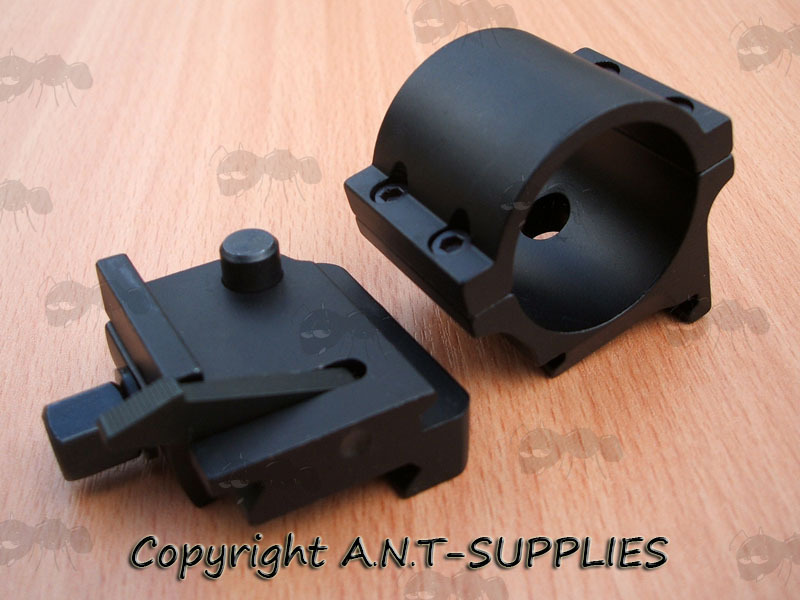 Also available ~ Airsoft Aimpoint style sight mounts. For 1 3/16 inch / 30mm tube. Overall height 54mm, length 39mm, width 47mm. 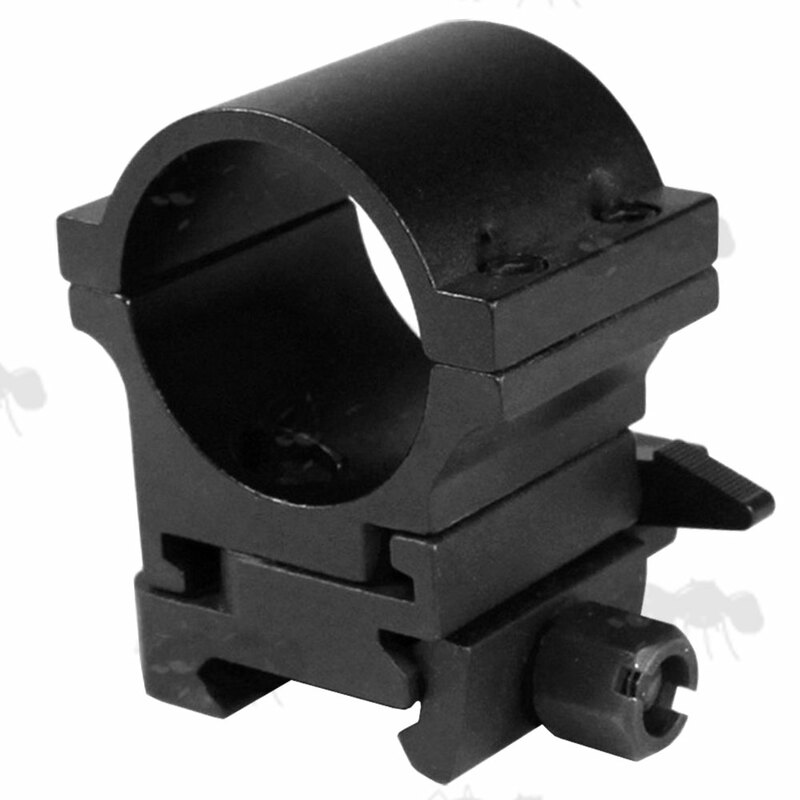 Designed to fit Aimpoint type 3x magnifiers units to allow for quick attachment and detachment. Twist mount, simply press down the lever, twist and remove, leaving the base in place for ultra-fast refitting. Quick detach design with large locking nut.